I’ve written before about teaching your kids about money and why it’s important. If you’ve read the article I just referred to, you’ll know that point #6 is, “We must make it clear that the ‘date of money independence’ is approaching.” My wife and I have done this consistently over the years and have gradually increased the amount of responsibility we’ve placed on our daughter, Morgan. Now age 20, she is in the middle of college and preparing to launch her own career and to take over complete responsibility for her personal finances (read “off our payroll!”). Stirred by some of the classes she has taken, she recently asked me about how to build wealth, and in response I wrote her the following letter. We sat down and discussed it, and she was overjoyed to have this information. I hope you find it helpful in dealing with your own children. You know that I’ve come from a lower middle-class background and built a level of success my father was unable to achieve before his passing. Part of my drive in the early years was a fear of poverty. Thankfully, you’ve not had the biting sting of that motivation. But that’s also my concern for you: what IS your motivation to achieve? You’ll know once you think about it. Your mother and I were so glad you asked about building wealth. In my work, I’ve watched hundreds of families struggle with this same topic. We have given a lot of thought to what to tell you, and here’s what we’ve decided to teach you in response to your question. It’s a broad, but simple two-step process. First, learn how to be a success. The greatest financial assets you have are your mind and your skills because they determine your ability to make money. In the first half of your life, you’ll become a lot wealthier if you focus simultaneously on your success skills and saving, and then on investing. The return on investment for skill development will bring more money for you to save and invest than any single investment you’ll ever own. For example, if you make $50,000 a year over a 40-year career, that will be $2,000,000 over your lifetime. How much of that can you save and invest? Through focus, you might triple that average income to $150,000 per year over 40 years, and that’s $6,000,000. Combine that with a frugality mindset” and you’ll multiply your wealth. 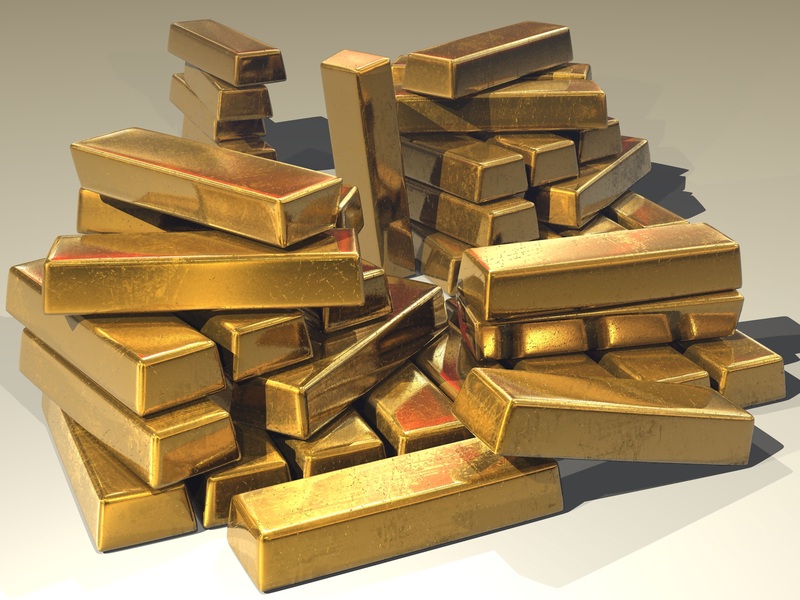 Continuing education in the right subjects is the first secret to building wealth. To that end, I have some books you must read, and we’ll discuss each one. 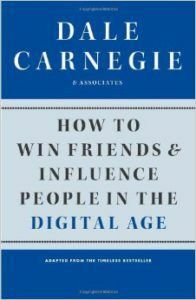 First, read How to Win Friends and Influence People in the Digital Age by Dale Carnegie. This was first published in 1936, but I recommend this updated version from 2011. In the opening pages, Carnegie writes, “Dealing with people is probably the biggest problem you face.” Making money in business all about dealing with people, and it’s something you must master as a prelude to earning wealth. I’ve just read this book for the first time, and I’m 58. I wish I’d read it 30 years ago; I can’t tell you how many mistakes I’ve made for lack of the knowledge that’s in this book. Don’t wait, read it now. 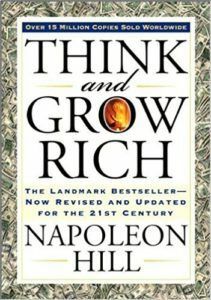 Next, read Think and Grow Rich – The 21st Century Edition by Napoleon Hill. Yet another classic I’m just now reading! How did I miss it? Every successful person I know admits to having read this so much earlier in life than I did. This was first published in 1937, and is known as the original compilation of American wealth-building secrets, and it’s just as relevant today. Hill was commissioned by Andrew Carnegie to interview hundreds of self-made successes to see what they shared in common. The results are what’s in this book: a step-by-step guide to the disciplines, habits, and mindsets that create extraordinary success. “Think” is the first word in the title for a reason. As you are my daughter, I’ve also purchased the version Think and Grow Rich for Womenby Sharon Lechter, an updated version especially addressing women’s career and wealth-building issues. And always, continue to learn about BUSINESS. Whether you take a job working for a business, a non-profit, or become an entrepreneur, you should never stop learning about the simple basics of business. They’re not hard, but sometimes business education makes you think it is. Read this article I wrote for my client newsletter: “Business 101 for New Business Leaders – Why You Don’t Have to Have a Business Degree to be a Great Leader.” In it, I share numerous resources for learning business basics, including books, YouTube videos, and online articles. Second, learn the “secrets” of money and investing. 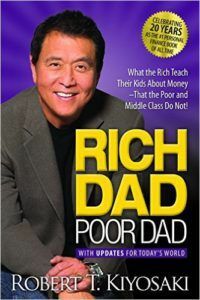 Start with Robert T. Kiyosaki’sRich Dad Poor Dad – What the Rich Teach Their Kids about Money That the Poor and Middle Class Do Not. 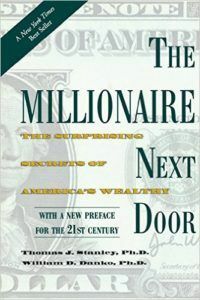 USA Today calls this book “…the starting point for anyone looking to gain control of their financial future.” Written in 1997, Kiyosaki tells the engaging story of growing up listening to two dads, one a friend’s father, each offering “…contrasting points of view: one of a rich man, and one of a poor man.” This book builds well on the first three resources cited above, and further cements the mindsetof how to think about money and how best to achieve financial freedom. You see, people in general do not know about money because it’s not taught routinely in the public secondary high schools, or even in universities. Learning about money is not required – you have to go self-educate! Finally, let’s get down to the nuts and bolts of it all. You can’t go wrong with Personal Finance for Dummiesby Eric Tyson, MBA. I love the “Dummies” series of books, and one glance through this is a starting point for understanding the tactics to carry out all of what you’ve learned from the others. Are there other books and systems and courses? Sure are, plenty of them. But I’ve learned the hard way over the last 40 years since high school, and I wish someone had given me the “course” I’ve just outlined for you. Now we’ll have to talk about each book as you read it. And we promise NOT to lecture! We’ll share our experiences, failures and successes, so you can choose to learn from them. Will you make mistakes? Yes, you sure will. It’s the only way we humans learn. But equipped with this material, I think you’ll learn faster,and make fewer, less-costly mistakes than we did. And here’s the best secret of all – YOUget to define success! Money is not an object just to have. I believe it should bring you freedom to serve others. And once you become successful, you can use your knowledge and success to bless others’ lives and journeys through this world.